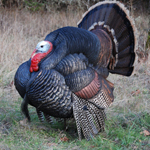 Custom Feathers offers a wide variety of wild turkey feathers for sale and turkey related products. We primarily offer feathers from the Eastern subspecies of wild turkey and now offer Rio Grande and Merriam's turkey tail feathers in limited quantities. We also supply ring neck pheasant pelts, tails and tail feathers, and feathers from unusual domestic turkey breeds in limited quantities, which we are hoping to expand our stock of these beautiful feathers. Our clientele include arrow builders both primitive and modern, native American regalia crafters, fly-tiers, artists, taxidermists, florists and other hobbyists. Check out your interst in our items in the dropdown menu above under "Products." DIY arrow fletching is what got the business started back in 1995. We still supply raw material for the avid archery enthusiast. The highest quality fletching available suited to the archer from adult turkey gobblers of all the three main species in the United States, from the Eastern, Rio Grande and Merriam's subspecies. 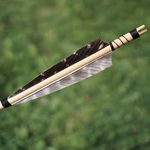 According to the needs and level of expertise of the individual, we have primary wings, individual feathers, stripped primaries and popular die cut fletching in traditional, shield, parabolic and banana styles in 4 lengths from 3 - 5.5" Mother nature has not made a fletching material more suited for this use than the wild turkey. Access these products here: under Arrow Fletching. Painting on turkey tail feathers is quite popular among our customers but they also paint on pretail skirts, and bronze flats. 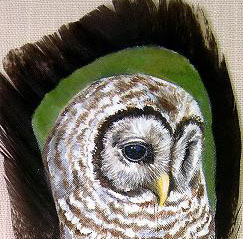 The example shown here was painted by an artist by the name of Gail Savage. She has been a long time customer who does beautiful work. please check out her work on our arts and craft page. These items may be accessed here, under these pages; Tail Feathers and PreTails-Bronze Flats. 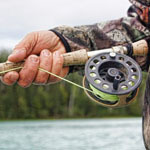 We have for the fly-fishing DIY tyer, pheasant pelts and tails, select wild turkey secondary wing feathers, and tail fan feathers as well as white and barred biots. Thes products are of select quality, preserved and packaged with care to fulfill the needs of your next fly-tying project. You may see these products in the following page: Pheasant Pelts/Fly-Tying. Calligraphy in its primative form, is experiencing a resurgence of enthusiasm, and we have the highest quality select primary feathers for making your own natural quill ink pen. 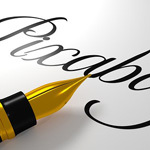 Check out our How To page on calligraphy if you are new to the experiecnce. There are videos and written instructions for this satisfying hobby and historical art form. You will find feathers with quills for making these pens here: Wing Feathers. 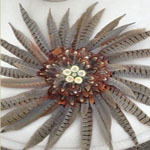 Our feathers are being used for various craft projects, including center pieces, wall hangings, Christmas wreaths, as well as floral arrangements. Let your imagination be your guide. All of our products can be used for many craft related projects, find them under "Products" in the main menu above. 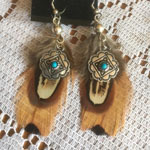 Feathers jewelry is a relaxing pastime and a rewarding hobby for your own personal use or for resale on one of the online venues such as ebay or etsy. Our feathers are well suited for this enjoyable endeavor. The earrings pictured here were created with our feathers by Kerry Simmons who lives near Bowling Green, Kentucky. She has many other unique crafts as well. You may see these products in any one of the following pages: Pheasant Pelts/Fly-Tying, PreTails-Bronze Flats and Body Feathers. 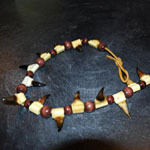 Wild turkey spur jewelry is popular not only with our North American Indian friends, but wild turkey hunters as well. A sense of pride is realized with beautifully constructed, polished and preserved by a glossy sealant. We have wild turkey spurs in a number of lengths for this project. You can take a look at these products on the following page: Spurs/Feet and Legs With Spurs. 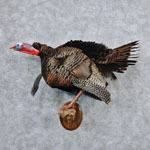 We have a number of clients from the taxidermy industry, we supply them with almost any part or feather from the wild turkey for the purpose of replacing something on that old huge gobbler that got damaged from no fault of the hunter, or maybe it was.... Find all of these items in the dropdown menu above under "Products." Turkey hunting is becoming more popular with every year that passes. We supply the avid turkey hunter with turkey hunting accessories, such as tail fans for adding to the new turkey hunting decoys which gives that old gobbler a look at something realistic when he approaches your decoy. Some of the new decoys can use primary wing feathers and beards as well. And it is no wonder that these additions to the modern turkey hunting decoys are being used, simply put, they work! They have fooled many old long beards.. 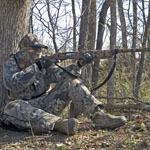 These products are listed here: under Turkey Hunting Accessories. You may also find individual turkey fans for use with modern turkey decoys that use real turkey tail fans here: Tail Fans. 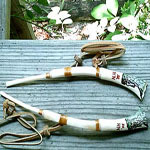 Some of our customers trade for or purchase raw turkey wing bones from us to create these works of art that are as functional as well, many pioneers, mountain men and Native American Indians have lured wary old toms within shotgun range with the rustic wing bone turkey call. Such is the case with Gerry Bramblett who is featured on our artists and crafters page, be sure and take a look at his work before you leave the website. These products are listed here: under Turkey Beards and Wingbones. Our family took a trip a few years ago to Tulsa, Oklahoma for the anual Red Earth celebration where all North American Indian tribes are represented. 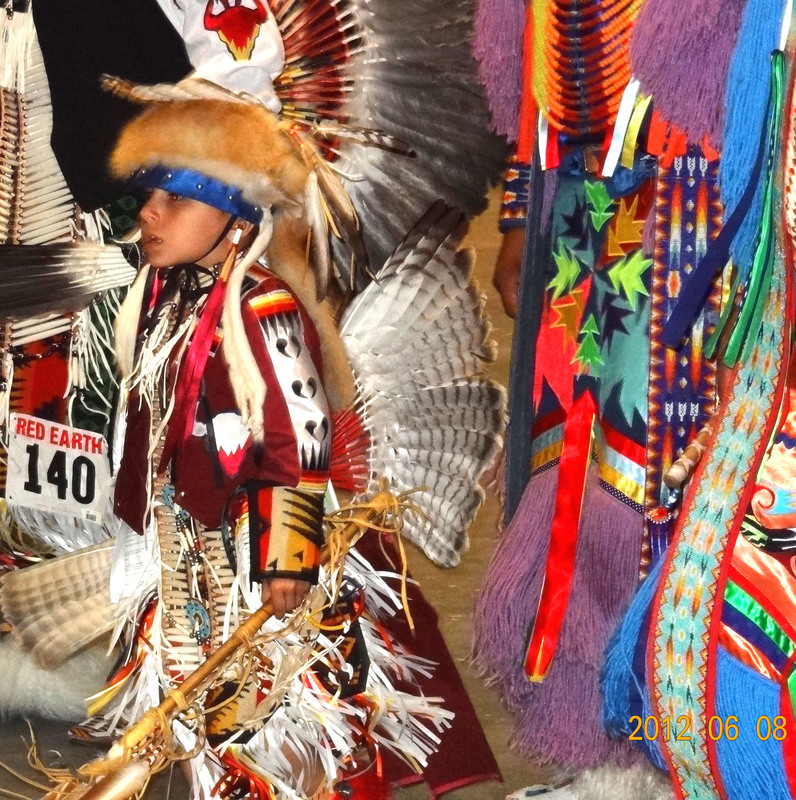 We are proud to have our North American Indian brothers and sisters for Custom Feathers patrons. They use our products in making many items in their colorful regalia. They are a proud people with a rich heritage. All of our items for sale are suitable for North American Indian Regalia, see them in the dropdown menu above: under "Products."